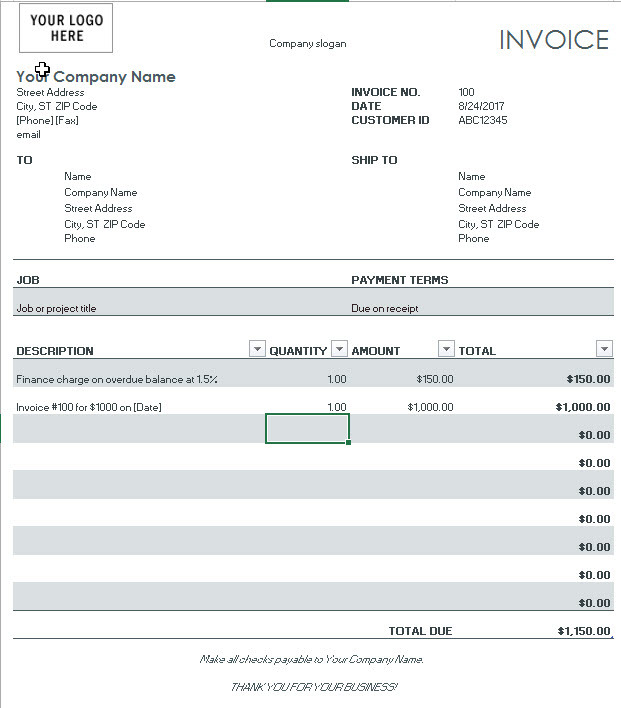 This invoice template with finance charge (gray) for excel will calculate line item total automatically, you need to enter descriptions, quantity and amount. And when charging interest on unpaid customer account balances, use this invoice template with finance charge to bill for the interest. It is very easy to customize and use. And also is a very simple invoice finance template for your finance business, and you can download it freely to use it in your business. You still need to enter your invoice number in Cell E3 and the company information of your customer in range B8:B12. How to get this free invoice template with finance charge in MS Excel? 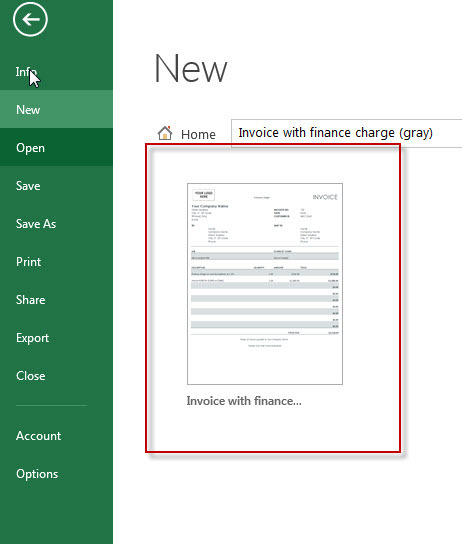 Click “File” Tab ->”New”, then input “Invoice with finance charge (gray)”to search online template in the search box. Click it.